In 1993 this beautiful place got rented by Santi Alegre and Ada Parellada. This large open space was a publishing house before the owners made it their second home. 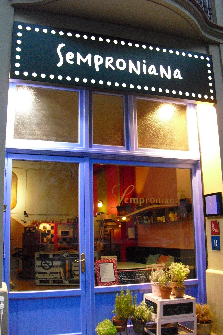 They substituted the books with menus and the letters with dishes, turning it into Semproniana. The name has some history to it, beautifully explained on their website. 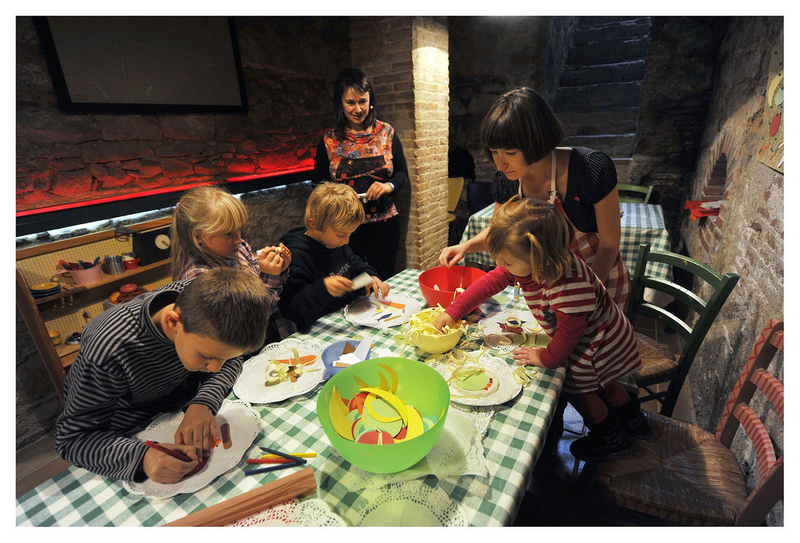 Because the owners believe that the best way to preserve the gastronomic culture of a country is to pass it on from generation to generation, they offer a basic cooking workshop for our children to learn them to do more in the kitchen than just cooking an egg. Not a lot of reasons are needed to choose this workshop because you should always celebrate the moments you collect with your family. Being together as a family is precious and therefore needs to be celebrated. What better way to celebrate time with your family and friends by cooking together and learning about ingredients and recipes? 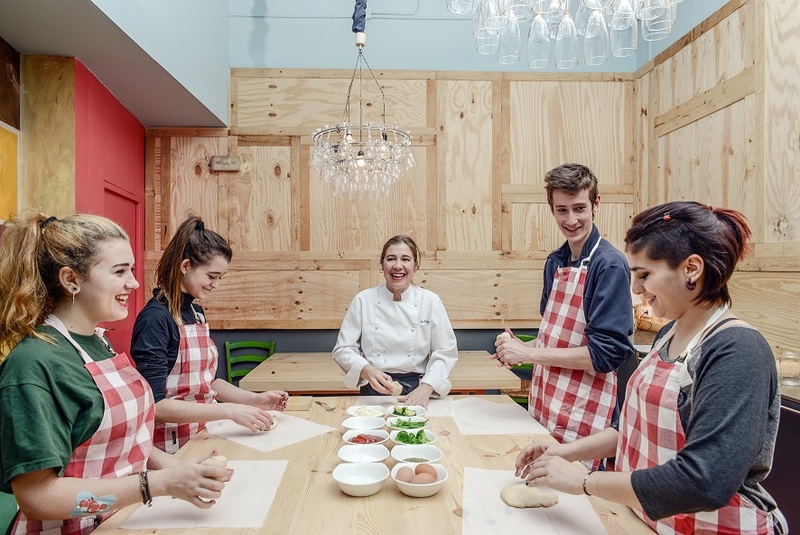 The goal of bringing teams together through cooking makes this workshop highly recommendable for businesses. Getting to know each other better by spending time in the kitchen and creating recipes together. Teamwork is the fundament of a good business. How about improving in while cooking something delicious?